Support for the PlayStation Vita cradle. Addresses freezing issues with certain games. You can now publish stories about the products that you rate in PlayStation Store to Facebook. Resolves a compatibility issue with the PlayStation Portable game Conception: Ore no Kodomo wo Undekure!. Fixed a stack buffer overflow in sceSblDmac5EncDec and a ton of other vulns. The use of the rear touchpad for scrolling and zooming is now supported in the [Browser]. A button has been added to the [Browser] to immediately go to the top of the page. The rendering engine has been improved. The [Browser] now uses additional GPU processing power. Users can now send their current [Browser] URL using their Twitter settings. Users can now access the [Browser] while in an application or game. [Email] has been added as an application. The PS Vita system can now display videos with 1080 resolution. Video support within the [Browser] has been added (a memory card is required; some videos are not supported). Enhancements to [Email] now allow users to view HTML messages, add multiple email addresses to contacts, and search messages. Users can now check for system updates when plugging their PS Vita into their PS3 system. The system version of the PS3 must be 4.40 or higher. This firmware was only available pre-installed on the initial release of the PCH-2000 model. It adds support for PlayStation Vita Slim (PCH-2000), but otherwise the firmware is identical to the previous version (2.12). Default release firmware for the PlayStation Vita TV in Japan. Fixes screenshot compression bug for Gravity Rush and Everybody's Golf introduced in firmware 2.10. Video support within the [Browser] has been extended. The number of applications that can be displayed on the home screen has increased to 500. [Adjust Daylight Savings Automatically] has been added. [30 minutes] has been added to [Enter Standby Mode Automatically]. (Japan only) PocketStation functionality has been integrated into the system software. Added DualShock 4 compatibility to the PlayStation Vita TV. Added PlayStation Mobile compatibility to the PlayStation Vita TV. Use of an [External Keyboard] is now supported (for example, PlayStation Bluetooth Wireless Keypad). Savegame exploits in various exploit titles got fixed. Savegame exploits in various additional undisclosed exploit titles got fixed as well. Internal firmware changes now prevent the execution of bigger files (e.g. TN-V/ARK eCFW) via exploits in PSP Minis, if these PSP Minis lack network functions. Added a new [Calendar] application that synchronizes with Google Calendar. Added [Manage Content on Memory Card] option. Messages sent and received now include voice messages. Access to the PS Store can now be restricted. Added a children's age guide. Users can now search on connected devices such as a PC. Users can now sort content by size. [Rotate Screen Automatically] has been added. [Freeform] has been added to the list of panoramic options. Fixes problems with bigger memory cards, which occurred in system software 3.10. (PS Vita TV only) Full functionality for PlayStation Vita TV remote play with PS4 systems added. Savegame exploits in various undisclosed exploit titles have been fixed. Linking PS Vita with PS4 is now easier. This firmware was only available pre-installed on the initial release of the PlayStation TV in North America and Europe. It allows the usage of non-Asian PSN accounts on the PS TV, if set up via PS3 or proxies, but otherwise the firmware is identical to the previous version (3.18). [Theme & Background] has been added to [Settings]. Full array of languages has been added to [External Keyboard] settings (previously was Japanese and US English only). [Import Saved Data] feature has now been fixed after becoming broken with release of system software 3.15. PS4 Remote Play now supports two players simultaneously. Added timezone for Nouméa and daylight savings support for Wellington, New Zealand. "Intellectual Property Notices" are now listed in the app menu on the LiveArea screen. A savegame exploit, several kernel exploits, a WebKit exploit and some internal system flaws have been fixed. Trophy rarity can now be viewed. Users can now attach and send events created in [Calendar] to [Messages] and [Email]. Recipients can save those events in their own calendars. Users can now add Friends and other players to events created in [Calendar]. The Calendar app’s LiveArea now supports the next six tagged events. The system's [Browser] now supports closing all open windows. Support for Content Manager Assistant with Windows XP and Mac OS X Leopard has been discontinued. The name of the VTE-1000 series has been changed to PlayStation TV or PS TV within system applications. A maximum of 4 wireless controllers can be connected to the PS TV. The number of players depends on the game or application. North American and European PSN accounts can now be used with the PlayStation TV. Detailed warning prompt added to Standby/Shutdown screen on PlayStation TV devices. A savegame exploit in the PSP game Go! Sudoku has been fixed. Enables compatibility with the Live from PlayStation app (requires firmware 3.30 or higher) available to download from the PS Store. Four-player Remote Play support to PlayStation TV. Users can now adjust the video quality for Remote Play on the PS TV system according to the network environment. Fixes some internal functions of the PS Vita's PSP emulator. A savegame exploit in an undisclosed PSP game has been fixed. The PSP Emulator of the PS Vita has been updated to PSP firmware 6.61. Adds support for streaming in 60 frames per second while using PS4 Remote Play. If 60fps is enabled, the PS4 system will be unable to record gameplay while using Remote Play. Accessibility has been added to the settings menu, with options such as zooming, inverted colors, closed captions, enlarged text and increased contrast options. The [Chat] setting under [PlayStation Network] > [Sub Account Management] has been renamed as [Chat/User-Generated Media]. Sub account users can now be restricted from sending and receiving [Messages from other players] in [Messages]. Fixed savedata exploits in various PSP games (Arcade Darts, Patapon 2, Numblast, etc.). Fixed kernel mode exploit that enabled the usage of eCFWs within the PSP emulator of the PS Vita. Fixed the "custom bubble" exploit. 30% of the reserved 256MB memory for the operating system now free for games. Fixed the Mail Writer exploit. You can now restrict [Email] from starting. Removed the system-wide Facebook integration. Fixed sceIoDevctl uninitialized stack memory leak used by HENkaku. Fixed WebKit JSArray::sortCompactedVector vulnerability used by HENkaku. Fixed sceNetIoctl use-after-free used by HENkaku. Fixed PSP emulator kernel exploit used by ARK. Added TLS 1.2 support in the web browser. Minor WebKit update (vector index masking). Fixed some devkit-specific kernel bugs. Forgot to change any other keys. Oops! ↑ PSone Classics Coming to PS Vita via the latest System Software Update (v1.80) – PlayStation.Blog. Blog.us.playstation.com (2012-08-14). Retrieved on 2013-08-23. ↑ Twitter / PlayStation: PS Vita system software update. Twitter.com. Retrieved on 2013-08-23. ↑ PlayStation Plus for PS Vita Available Next Week – Take the Tour – PlayStation.Blog. Blog.us.playstation.com (2012-11-13). Retrieved on 2013-08-23. ↑ PS Vita Firmware v2.01 is Live, Download Now. Playstationlifestyle.net. Retrieved on 2013-08-23. ↑ PlayStation Vita System Software Version 2.02 Now Available For Download. Playstationlifestyle.net. Retrieved on 2013-08-23. ↑ PS Vita System Software Version 2.05 Likely Coming Today, Seems to be Mandatory. PlayStation LifeStyle. Retrieved on 2013-08-23. ↑ Twitter / PlayStation: Heads up - PS Vita v2.06 software. Twitter.com. Retrieved on 2013-08-23. ↑ Sony Playstation Vita Browser - firmware 2.05 - Adressbar spoofing. Securityfocus.com. Retrieved on 2013-12-09. ↑ PS Vita System Software Update (v.2.10) – PlayStation.Blog. Blog.us.playstation.com (2013-04-09). Retrieved on 2013-08-23. ↑ Update features (ver 2.10) - PS Vita System Software. Uk.playstation.com. Retrieved on 2013-08-23. ↑ [UPDATE] PS Vita firmware 2.11 is now live - PlayStation Universe. Psu.com (2013-04-16). Retrieved on 2013-08-23. ↑ Optional PS Vita System Update 2.12 Live Now. Terminal Gamer (2013-05-08). Retrieved on 2013-08-23. ↑ PS Vita Firmware Update v2.60 Released, Download Now. PlayStation LifeStyle. Retrieved on 2013-08-23. ↑ PSVITA Mandatory OFW 2.60 Now Live ·. Wololo.net (2013-08-06). Retrieved on 2013-08-23. ↑ PS Vita System Firmware Update v2.61 Coming Soon, Improves Some Software. PlayStation LifeStyle. Retrieved on 2013-08-28. ↑ PS Vita System Firmware Update v3.01 - Fixes various usermode exploits. Wololo.net. Retrieved on 2013-12-10. ↑ PS Vita System Software Update 3.10 Coming Soon. PlayStation Blog. Retrieved on 2014-03-25. 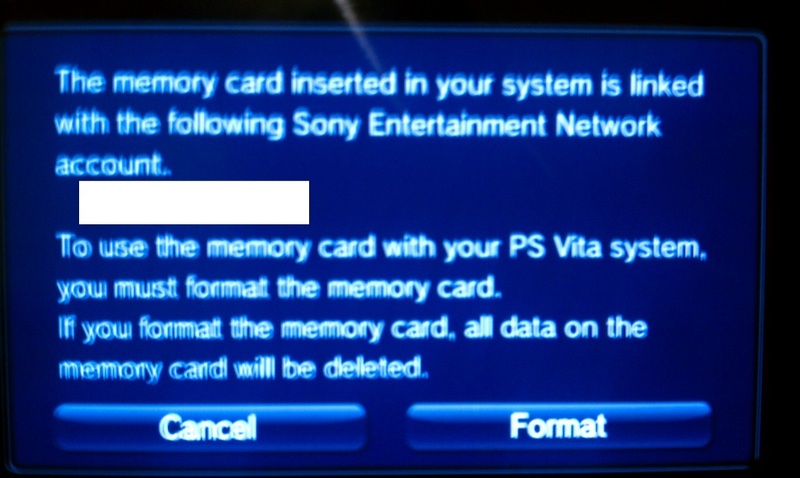 ↑ PS Vita mandatory firmware 3.12 available – Fixes memory card problems. Wololo.net. Retrieved on 2014-03-28. This page was last edited on 20 January 2019, at 21:45.